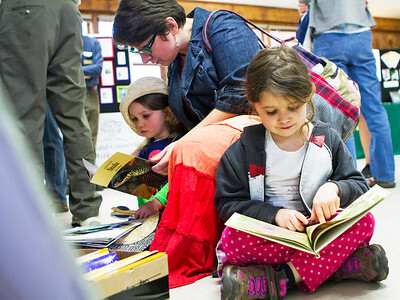 Mike Greene - For Shaw Media Tünde Breuer, right, 5 of Crystal Lake, reads a book as her mother Natalia helps sister Réka find a book during Earth Day Celebration 2016 Saturday, April 23, 2016 at Prairieview Education Center in Crystal Lake. The event included guided nature hikes, games and crafts, puppet Shows, over 20 environmental exhibitors, as well as food & beverage vendors. Mike Greene - For Shaw Media Cory Moore, of Crystal Lake, walks through the prairie with son Jackson, 3, during Earth Day Celebration 2016 Saturday, April 23, 2016 at Prairieview Education Center in Crystal Lake. The event included guided nature hikes, games and crafts, puppet Shows, over 20 environmental exhibitors, as well as food & beverage vendors. 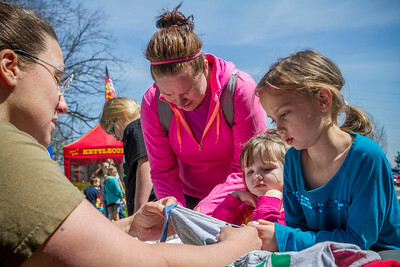 Mike Greene - For Shaw Media Abigail Lobo, right, 6 of Woodstock, makes a reusable bag out of a shirt with her sister Katie, center, 3, and mother Janet during Earth Day Celebration 2016 Saturday, April 23, 2016 at Prairieview Education Center in Crystal Lake. The event included guided nature hikes, games and crafts, puppet Shows, over 20 environmental exhibitors, as well as food & beverage vendors. 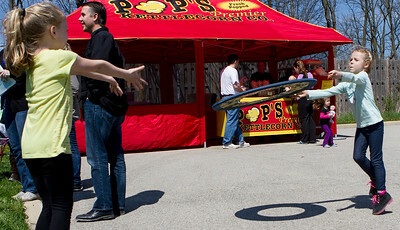 Mike Greene - For Shaw Media Alexis Payton, right, 6 of Crystal Lake, tosses a frisbee to Mikayla Karlow, 6 of Crystal Lake, during Earth Day Celebration 2016 Saturday, April 23, 2016 at Prairieview Education Center in Crystal Lake. The event included guided nature hikes, games and crafts, puppet Shows, over 20 environmental exhibitors, as well as food & beverage vendors. 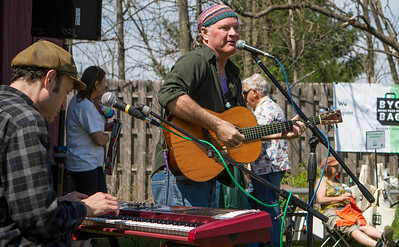 Mike Greene - For Shaw Media Ken Lonnquist, right, performs with Dave Adler during Earth Day Celebration 2016 Saturday, April 23, 2016 at Prairieview Education Center in Crystal Lake. The event included guided nature hikes, games and crafts, puppet Shows, over 20 environmental exhibitors, as well as food & beverage vendors. 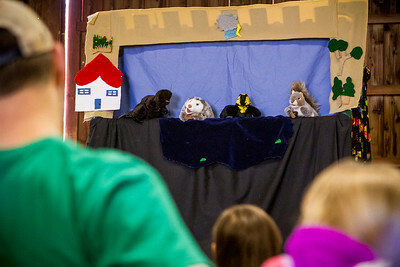 Mike Greene - For Shaw Media A crowd watches a puppet show entitled "Have to have a habitat" during Earth Day Celebration 2016 Saturday, April 23, 2016 at Prairieview Education Center in Crystal Lake. The event included guided nature hikes, games and crafts, puppet Shows, over 20 environmental exhibitors, as well as food & beverage vendors. Abigail Lobo, right, 6 of Woodstock, makes a reusable bag out of a shirt with her sister Katie, center, 3, and mother Janet during Earth Day Celebration 2016 Saturday, April 23, 2016 at Prairieview Education Center in Crystal Lake. The event included guided nature hikes, games and crafts, puppet Shows, over 20 environmental exhibitors, as well as food & beverage vendors.